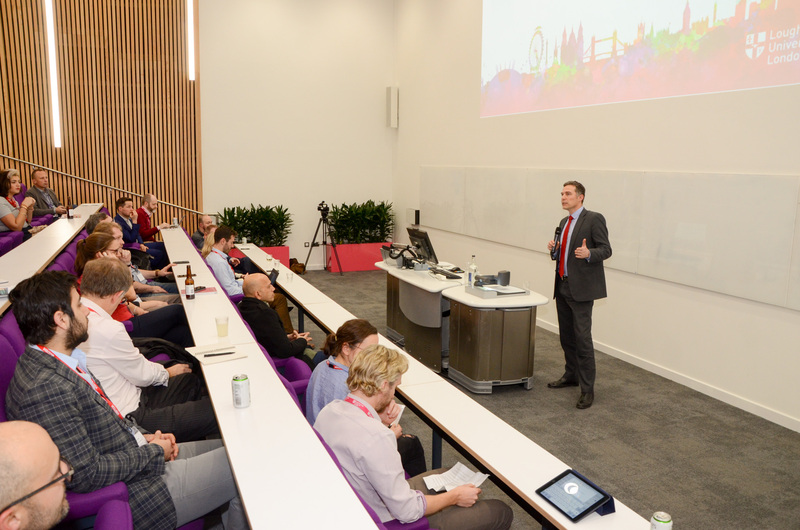 Back in March, our campus opened its doors for an event designed to enlighten and explore the ways businesses and organisations can get involved with Loughborough University’s London journey; whether that be through partnerships, the Collaborative Project module, dissertations etc. Professor Mike Caine, the Dean for Loughborough University London kicked off the night with an explanation of what our new campus had to offer and why we encourage businesses and organisations interaction with our students. Dr Daniel Graff went on to explain the Collaborative Project module that all our Institutes embed into their curriculum. He explained that we have 15 businesses/organisations currently involved with our programme and how we would like to expand this network to include new and innovative partnerships. 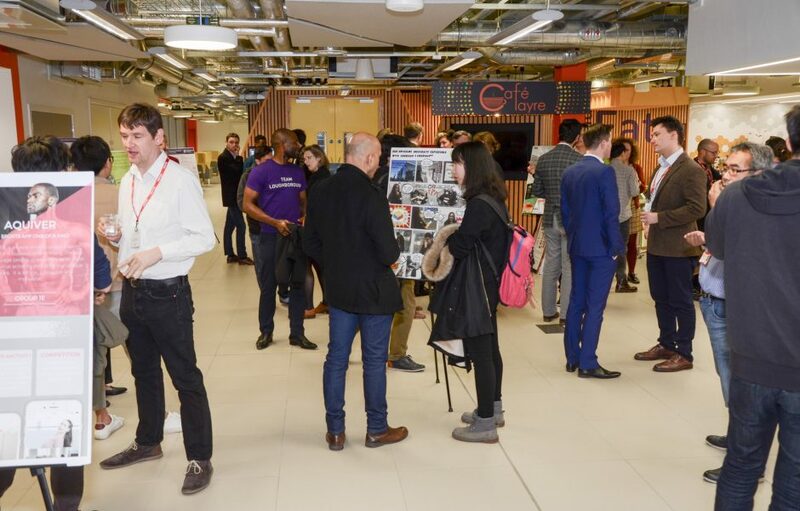 Rachel Thompson, the project lead from Blaze, then gave an inside look into how they have benefited and enjoyed the collaboration with Loughborough University London and its students. Blaze are a small company who have made it their mission to bring innovative and exciting new products to the cycling industry. Rachel explained that companies can often really profit from the perspective and ideas from outside candidates such as our students who both want to impress and get creative, but also who are new to brands and technologies such as Blaze’s. Blaze are one of the companies who participate in the Collaborative Project module. Ashley Gray, the Collaborative Project Manager, continued the informative talk to explain the options outside of the Collaborative Project which include industry-based dissertation, research partnerships and more. For further information about the options available for businesses and organisations to form partnerships, please visit our website or email London@lboro.ac.uk.